The enchanted forest in Fauntleroy Park gave me another wonderful moment today. Here I was walking back up the trail to go home. Then I saw this flash of red ahead of me. 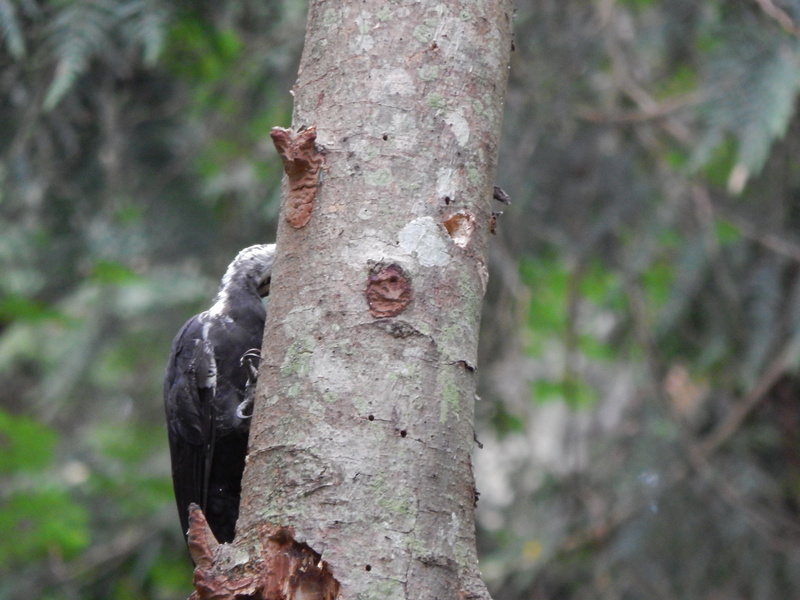 It was a Pleated Woodpecker landing on a tree only 20 feet away from me. My first thought was this is a young bird. I was right this is a juvenile and a female one at that. After a little research I found that if they have brown eyes they are juveniles. They turn yellow when they are adults. Add to this the male has a cheek red patch plus the red top-notch. The females only have the top-notch. She first went up and down the dead tree trunk using her strong claws/talons. 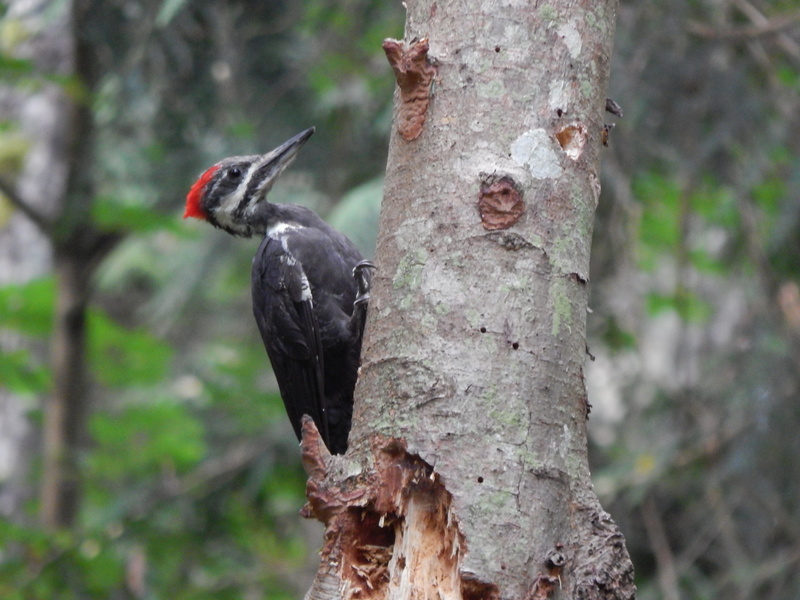 Check out the sharp claws on this pileated woodpecker. She played what I called peekaboo with me. Seriously, not sure she knew I was even there. After I got a few still photos I took another short video and got a good close up of her hammer heading into the tree. If you look close you will see her tongue going for the bugs she is mining. This sighting is not too far from where I found the barred owl a few weeks ago. Nothing like a gift from the forest on my weekend walk.